Scenic Brew opened September 8th, 2010. We place a great amount of work into ensuring our products are consistently the best possible. Scenic Brew provides top shelf café products with remarkable service. Scenic Brew presents a unique environment that draws its inspiration from Montana’s natural beauty. Bring your favorite Montana photo by and we’ll frame it for our customer wall. Maximizing potential – Products, service, and atmosphere are maximized through great attention to detail. Scenic Brew serves amazing locally-supplied coffees with the best possible equipment. We formally train employees in customer service and takes customer feedback seriously. Great effort has been given to the design of the space: extensive use of natural elements such as stone, reclaimed wood, and concrete provide a distinct Montana atmosphere. Local photography showcases Montana’s beauty and artistic talent. We will also offer a menu that exposes Helena to new café products popular in other areas of the world. Supporting local economy – Scenic Brew is a locally owned business that draws its inspiration from Montana’s natural beauty. To support other local businesses we take every opportunity to use Montana products and services such as baked goods, Montana dairy, and restaurant supplies. Although it may only make a small difference, we respect and support local businesses over the corporate giants that send their profits outside Montana. We genuinely appreciate and respect our customers. Our talented staff put all of their attention and effort into every order. We owe our existence to local support and the relationships we build with every new customer. We are open late to accommodate the night owls and diligent students. We will be open until midnight during Finals Weeks again this year. Just crush some coffee beans and add hot water, right? Most coffee lovers don't realize the level of analysis that can be applied to producing the best possible cup of coffee - perhaps almost as many don't care. Either way, you may be interested to know a little about the science Scenic Brew applies to each cup we serve. During brewing, water removes oils and dissolvable solids from the coffee grounds. Coffee beans are ground specifically to present a certain amount of oils and dissolvable solids to the water. The finished brew is a balance between extraction and strength, the soluble yield and concentration. Over-extracting results in the extraction of many of the bitter components of the remaining solids. These contribute significantly to bitter taste defects, a common problem that turn many people away from coffee. Under-extracting causes the taste defect of weak, under-developed brew. As coffee dissolves, the bulk of the solids including the sweeter components dissolve during the first 30-50% of the brewing cycle, and the more bitter elements start to dissolve in the latter half of the brewing cycle. This means that when your co-workers and family pour their cup before brewing is complete they will likely leave you with a bitter and weak cup! The highest quality will have a rich aroma, fullness of body, delicacy of flavor, as well as clarity and unique character – all optimally balanced. Achieving these attributes requires a significant degree of precision during the coffee brewing process. Scenic Brew utilizes specialized equipment and methods that measures specific qualities of our brews and add a quantitative measure to a very subjective taste. As a brief look, we express total dissolved solids as a quadratic function of the index of refraction and temperature of the brewed coffee sample. As you can see, we do more than just pour hot water over coffee grounds! Tasting tea steeped from whole leaf tea leaves is the closest most tea drinkers will come to experiencing tea the way it’s sipped when plucked direct from the gardens. When drinking whole leaf tea, you’ll notice a fuller, more complex flavor with a top note, middle note and finish – the kind of complexity you won’t get from the “dust tea” that most tea drinkers are accustomed to. We also have the familiar and loved Tazo Teas for customer’s enjoyment. 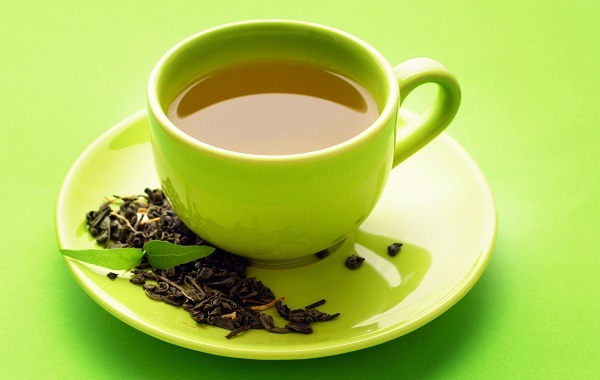 Whichever type of tea you crave, you will find a wide variety at Scenic Brew. Nuova Simonelli – The centerpiece of Scenic Brew is the Aurelia espresso machine by Nuova Simonelli. Selected as the World Barista Championship’s official espresso machine, the Aurelia consistently produces perfect espressos. The Aurelia has been engineered using mathematical models, developed specially to optimize performance at every level. Each part of the machine has been balanced for optimum results, guaranteeing maximum temperature stability during every stage of operation. Other critical elements such as the grind, tamping, and water purity are also controlled to provide the best possible espresso beverages. Pour Over – The perfect cup of coffee, ground and brewed fresh for you alone. This single-cup brewing is a time honored tradition and is still the preferred method by many for the extraction control it offers. This method involves heating the water separately, then pouring the water over the freshly ground coffee at the perfect speed to suit your taste. French Press – Also known as “steep brewing”, this method tends to produce a more flavorful coffee due to the “press”. A glass cylinder is first filled with the correct amount of freshly ground beans then filled with hot water. The coffee then steeps for 3 to 4 minutes depending on your taste. Lastly the plunger in the cylinder is depressed forcing all the grounds to the bottom of the press, leaving the brewed coffee filtered and ready to pour. Brewed Traditional – drip brewed coffee can yield an amazing cup when done right. A surprising amount of attention is given to Scenic Brew’s drip coffee to ensure proper coffee extraction. We monitor the proper grind coarseness and volume, water temperature, pre-infusion, and pulse brewing controls to ensure proper extraction, total dissolved solids, and acidity.